The historic Ferry Building, located along San Francisco's embarcadero at the foot of Market Street, opened in 1898 as a terminal for ferries that traveled across the bay. In its heyday, 50,000 people commuted by ferry every day. Then in the 1930's, the Bay Bridge and Golden Gate opened, and everyone could miraculously drive across the water. The building is still used for ferries, but it ain't what it used to be. 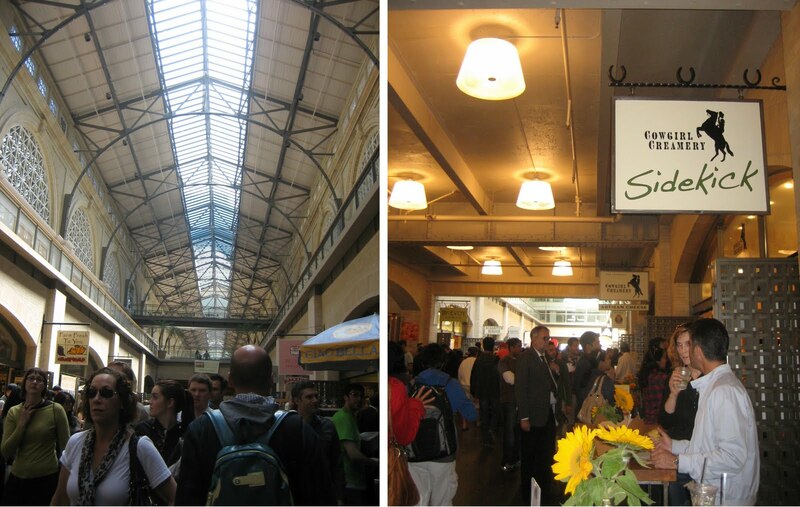 Now it's the Ferry Building Marketplace—a big, honkin’ foodie haven that's jam-packed with jams and artisanal luxuries, from baked goods, olive oils and cheeses to charcuteries and other cuteries (see lioness with orange mane). These linzer-cookie cuteries and fruit-filled lovelies are from the legendary Frog Hollow Farm. Located on the Sacramento River Delta an hour from the city, this organic farm produces seasonal fruits, including 25 varieties of peaches, along with nectarines, apricots, plums, pluots, cherries, pears and grapes. Their urban farm stand shop here also sells conserves, chutneys and marmalades. Hey, what are labels doing on those pears? I guess they haven't earned their local, sustainable and organic stripes like Frog Hollow's fruit. But I'm guessing the candy-striped figs have earned theirs. In this mushroom shop called Far West Fungi (see big mushroom sign at top left), you can find cultivated and wild shrooms, truffles and unusual forest products. 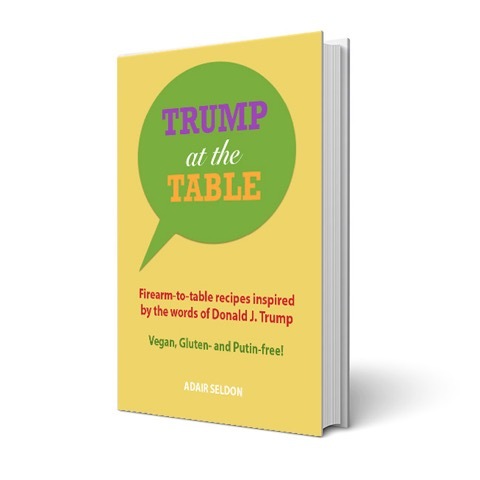 What you can't find is a little saucer of butter to dip your lobsters in. Boccalone Salumeria features over 20 varieties of handmade cured meats using local, sustainably raised, heritage-breed pork. Though "Tasty Salted Pig Parts" kind of says it all, I can't help but wonder which pig parts are unsaltworthy. On second thought, don't tell me. Cowgirl Creamery is your go-to girl for organic, environmentally responsible, award-winning cheese, made locally in Point Reyes Station, about an hour north of the city. Yee haw! If cowgirls got to eat all that cheese, I'd be a cowgirl too. Or a cow, anyway. 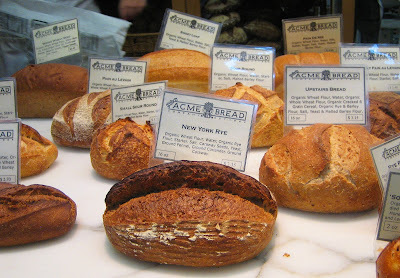 Acme Bread is the nationally acclaimed artisan baker that has supplied Alice Waters and Chez Panisse with their bread for almost 30 years—ever since one of the restaurant's busboys started baking bread at her request and then started the bakery. Acme uses only organic flours and is still giving Panisse its panache. More cuterie as dough-filled cream pies masquerade as muffins from the artisan-crafted, gluten-free Mariposa Baking Company. Were the plum and green tea donuts from Pepples Donuts trying too hard? When you're a 100% organic, vegan donut, you tend to try a little harder. Power to the Pepples! oh my goodness -- those figs! What a lovely marketplace! and gluten free bakery -- I need to visit there! Oh. Oh. I have been to that market. 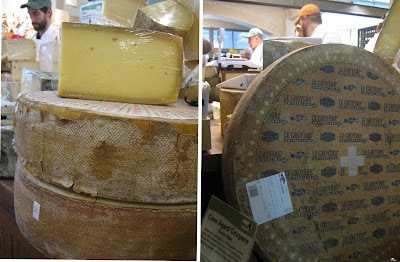 My wife and I had the most wonderful Gruyere from the Cowgirl Creamery. The best I've ever tasted. And a scrumptious crust of bread from that bakery to eat it with. What delightful pictures. What delightful memories. These are like postcards from heaven. 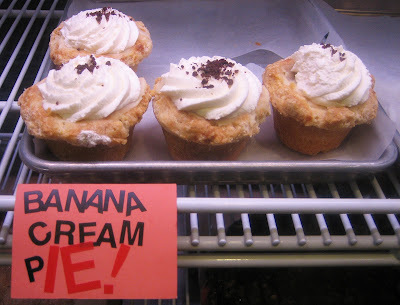 I am definitely going to go there the next time I visit my brother in San Francisco. Those mushrooms are calling my name. Thanks for the great tour! so fabulous, makes me want to go!